Regardless of your political ideology (that’s a whole different blog); one of the most frequent trouble spots when it comes to the maintenance of a safety management system is that of legal requirements for safety compliance. From 2009-2012, the Federal government added nearly 13,000 final rules. Multiply that by the number of points of compliance, and the impact to any organization is simply staggering. From a health and safety perspective, most professionals are aware of “most” of the laws that pertain to their organization’s products and services, but when the regulatory agency shows up (e.g. OSHA), “most” usually isn’t a good enough answer. Ask anyone who’s been through an IRS audit how approximation fares when they were on the wrong side of what someone else thought. Like many things in life, systems intended to generate continuous improvement have no end, no finish line; only the next iteration or process cycle. As the old adage goes, “getting to the top is easy; the hard part is staying once you get there.” It is easy to lose momentum once you’ve reached the top of the hill. If you’re considering the implementation of any type of management system, you’re going to have to ask these 3 basic questions. 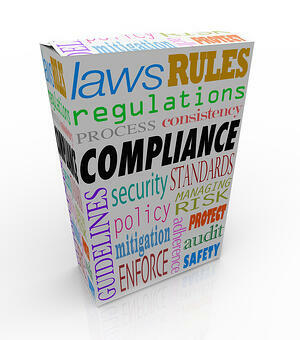 The organization is meeting its obligation to evaluate its compliance with applicable legal requirements? That the outputs of the regulatory process become relevant inputs to other requirements? The “Legal and Other Requirements” process should not exist in a vacuum. It represents a core component of the management system, and is vital to the continued compliance of your organization. Third party safety consultation firms can be great resources to your company, offering help in this, and many other regulatory compliance mazes. Click here to sign up for a free evaluation of your organization’s “Legal and Other Requirements” process, or how you can partner with SafetyPro Resources to address your organization’s safety challenges. You can also click below to access all of our free resources to easy your way into safety compliance.